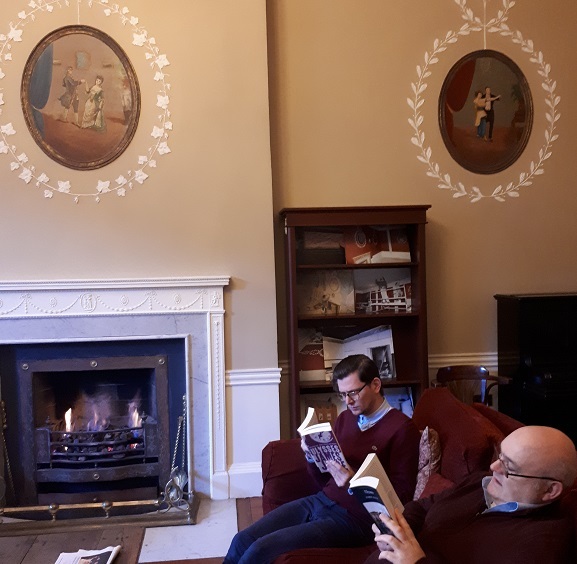 Join us in 2019 at the James Joyce Centre for the return of our popular lifelong learning course, Ulysses for All. Led by Dubliner and Joycean Caroline Elbay, the group will work through the episodes of Joyce’s masterpiece in a structured, accessible and relaxed environment. Beginning on Wednesday 6 February, the course runs over 18 weeks and will finish ahead of Bloomsday on 5 June – just in time for you to boast to the pretenders in costume that you’ve actually read the book! Joyce’s epic has a reputation for inaccessibility and difficulty, but Ulysses for All aims to show that this perception is far from accurate and when the book is read in a structured way it is not only comprehensible but full of humour, insight and beauty. So come along and find out why Ulysses For All is the most popular Joyce course in the city! Whether you’ve always wanted to just give it a go or if you’re an old hand when it comes to Joyce’s Big Blue Book of Eccles, you’ll find a welcoming environment here at the James Joyce Centre. Past participants have been awarded scholarships to the annual Joyce Summer School and have traveled to Trieste for the Italian Summer School so you never know where the course will take you. We invite you to join in our Dublin odyssey and put YOU into Ulysses.